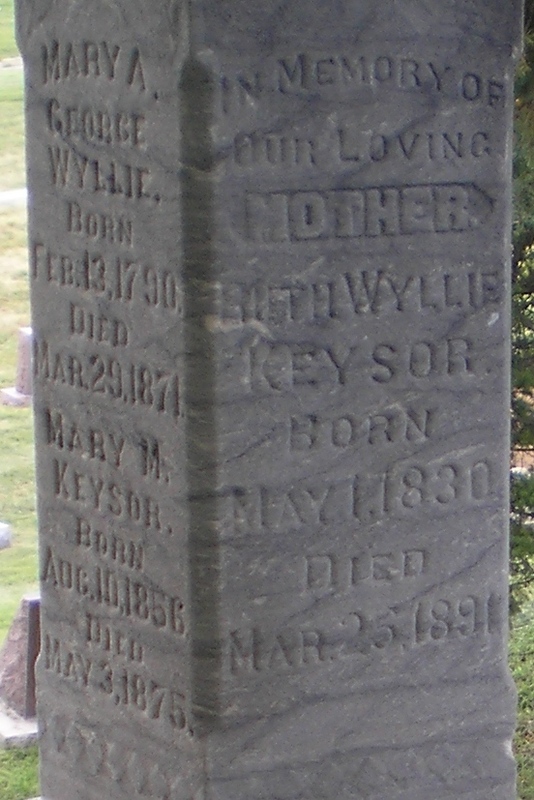 Three days from Liverpool on her voyage to join the Saints in America, according to Ruth Wyllie Kysor, she died and stated that her spirit visited whom? From the life of John Nebeker: Prior to the organization of the provisional State of Deseret, and while yet a resident of the Fort, John Nebeker acted as a deputy marshal, his duties corresponding with a deputy of today. Many tough characters coming with the gold seekers on their way to California, Deputy Nebeker more than once arrested such persons, and for lack of a better place of confinement would take them to his home and board and lodge them there until their cases were disposed of by due process of law. And this from his wife Lurena Fitzgerald Nebeker: She was unusually benevolent and hospitable, and become universally known and beloved because of her acts of charity. She waited on prisoners who were confined in her home with ball and chain from lack of other quarters, at the time her husband was assistant marshal to John Van Cott and Horace S. Elredge. Andrew Jensen, LDS Biographical Encyclopedia, (Salt Lake City: Western Epics, 1971), 3: 177, 178-179.